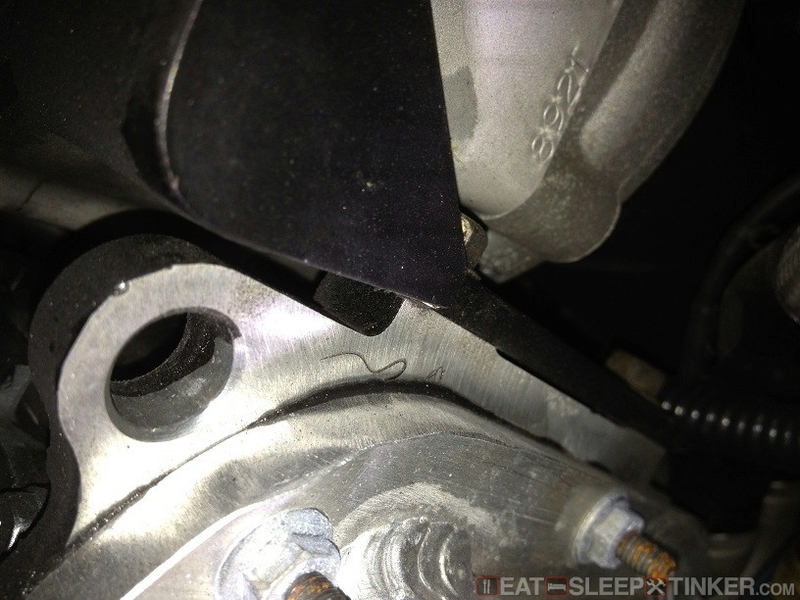 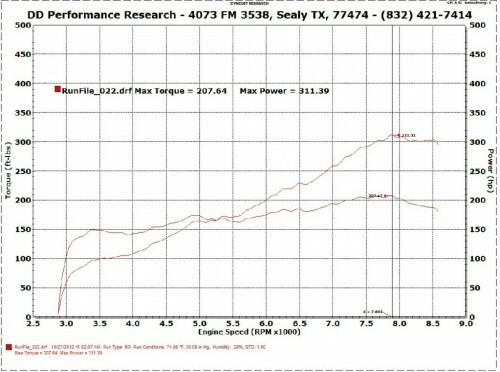 Eat, Sleep, Tinker.Cracked Supercharger Bracket - Eat, Sleep, Tinker. 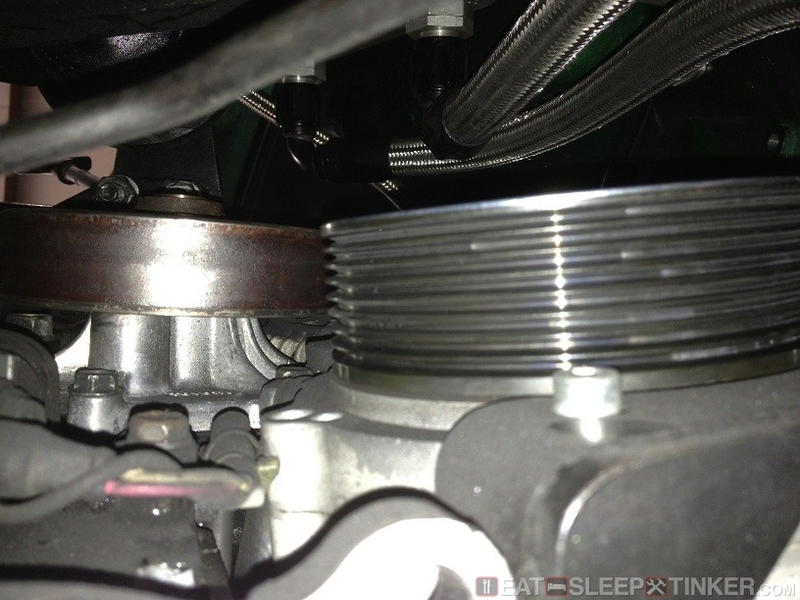 The guys at DDPR discovered the reason behind the Spyder consuming serpentine belts. Turns out the steel bracket for the Rotrex had cracked and bent in several spots. 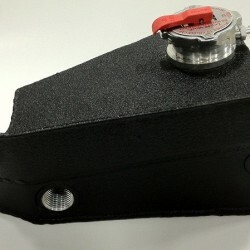 A new bracket was fabricated, this time with extra gusseting to hold the load.